Architen Landrell is proud to have been involved in the grand opening of one of the Middle Easts most progressive universities. 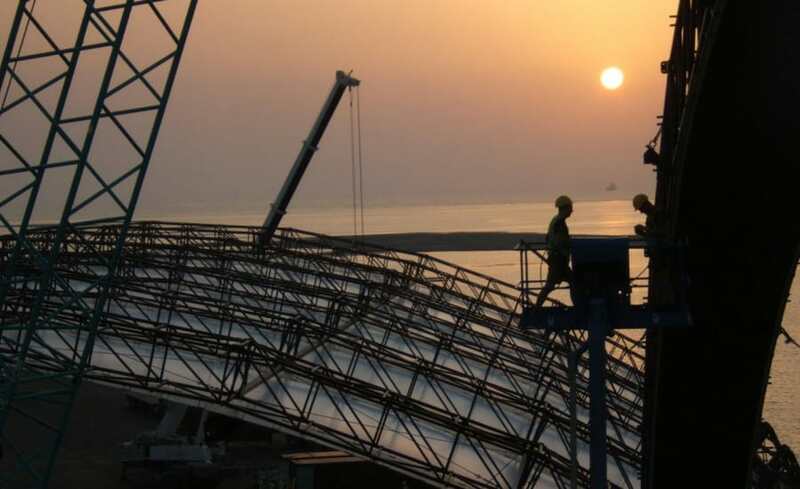 The King Abdullah University of Science and Technology (KAUST) in Saudi Arabia was opened in late September before an international audience and under a tensile fabric building supplied by Architen Landrell! 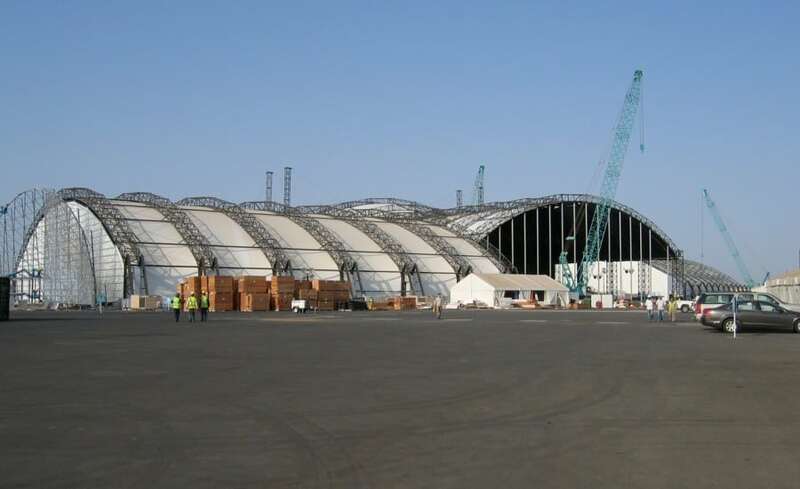 Architen Landrell was contracted through ES Projects to design, manufacture and install two large fabric clad structures for the opening ceremony. The Ceremonial Hall, which hosted the inauguration ceremony itself, and the Exhibition Theatre which housed an interactive exhibition area that presented all aspects of KAUST as well as milestones in the history of Arabic, Islamic and world science. 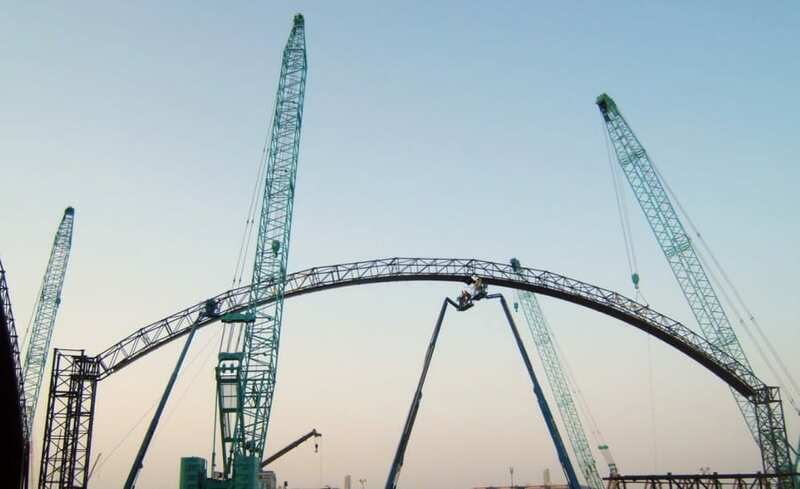 The event was a significant milestone in Saudi Arabian history and one which the world was watching, therefore it was imperative that the architecture was attractive, of a high quality and work was completed to schedule. 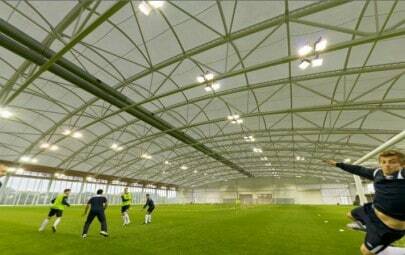 However, time was of the essence and we had only a matter of months to design, manufacture and install the 22,000 square meters of fabric cladding a tall order for any company but one which we were willing to take on. 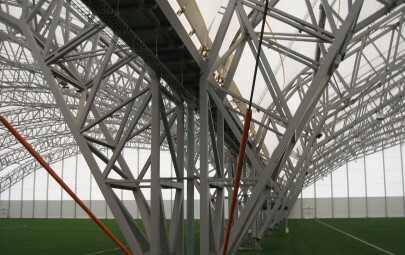 Having successfully worked with ES Projects in the past to install the David Beckham Academy (a very similar structure) and the Chanel Pavilion among many others, Architen Landrell was clearly placed to work alongside the event company to ensure the deadline was met. Although primarily erected to provide solar shading in the 40 degree heat of the desert, the structures were also intended to be prestigious and exotic temporary facilities for the dignitaries to spend time inside. The Ceremonial Hall, as the venue for the inauguration, needed to be entirely blacked out to ensure the video screen was as clear as possible. 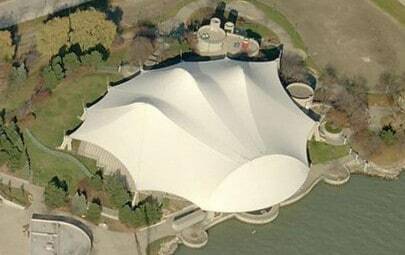 This was a contributing factor when deciding on the best tensile fabric to use. For its range of colours (including blackout) and for easy erection and demounting, PVC coated polyester was chosen as the most suitable material and clear PVC panels were added into the design to act as windows. 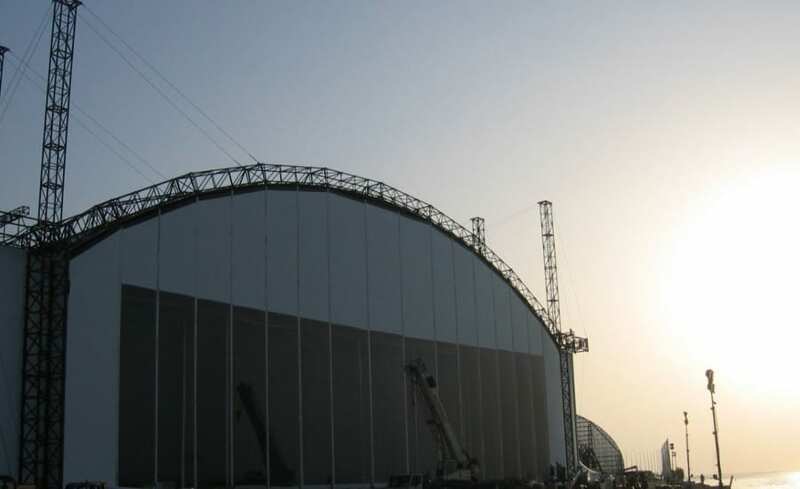 Once manufactured, a team of 10 men was sent out to Saudi Arabia to undertake the installation of the fabric cladding over a period of 6 weeks. Like all long distance projects, it took careful planning and project management to ensure that all went according to plan; however, we finished on schedule to the delight of ES Projects and the client. 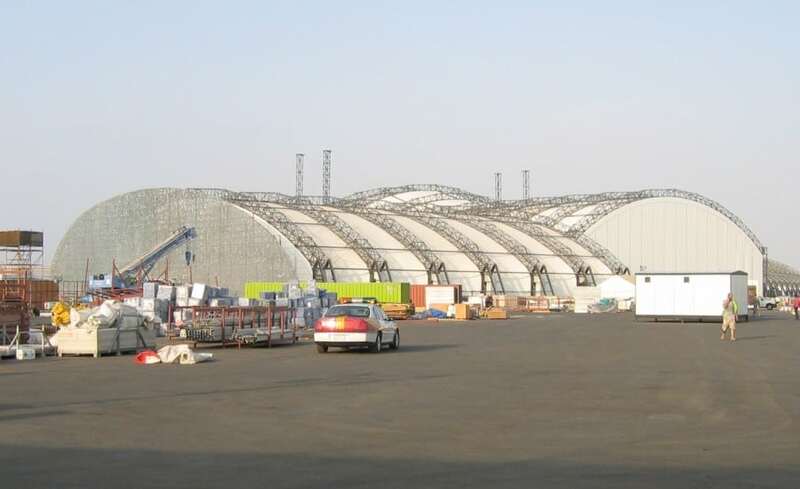 After a successful event, the fabric buildings were only up for a matter of weeks before our crew was back in the Middle East to demount them and bring them back to the UK. ES Projects and Architen Landrell hope that we can re-install them in a new location as soon as one can be found!